As part of Foodbuzz, I sometimes receive different products to use in my kitchen. This time around, I received Goya products. 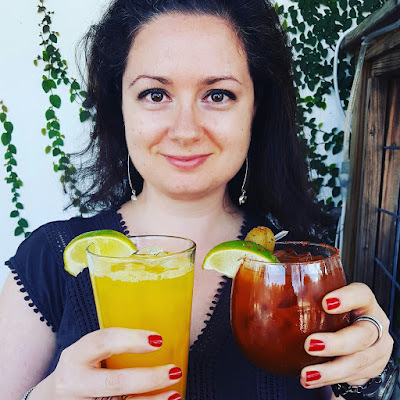 The first time I've heard of Goya was 9 years ago when I met my friend Laura (hola, Laurita!). She's from Puerto Rico and introduced me to Adobo all purpose seasoning. For a while I was using Adobo in everything: soups, rice dishes, to season fish or chicken and to sprinkle on steaks. I was in love. Every time I cook with Adobo, I think of Laura. 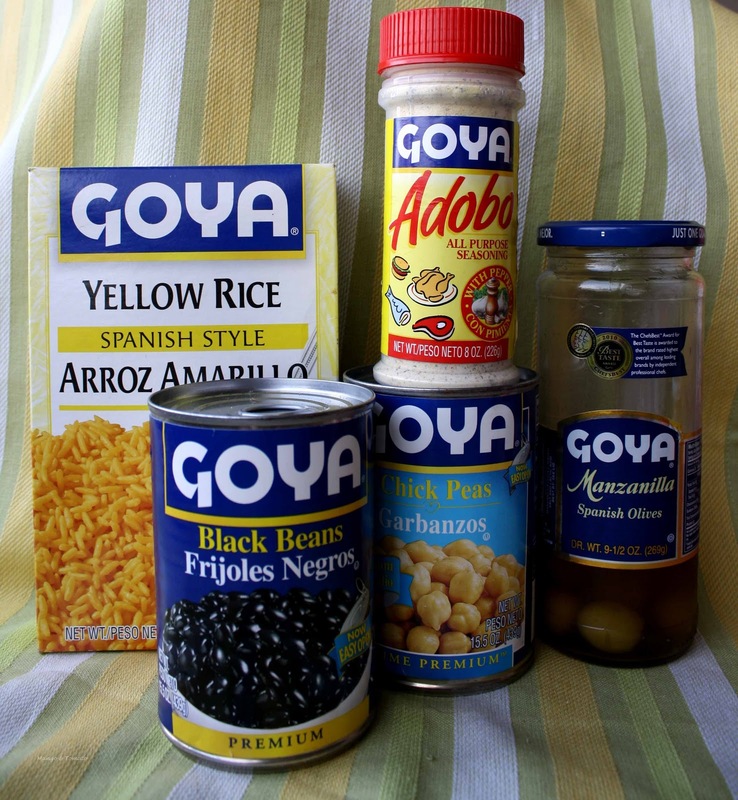 Foodbuzz and Goya sent me yellow rice, Adobo, black beans, garbanzo beans and Manzanilla Spanish olives. I opened a jar of olives and pretty much finished all of them in a few days. But then I decided I should probably come up with a meal using some of these ingredients. 1. Heat a pan. Add beef, adobo, and vinegar. (Adding vinegar is something I learned from Laura). Cook the meat until it is no longer pink. 2. Add the onions and cook until they've browned. 3. Add beans, tomatoes, peppers and olives and cook until everything is heated through. 4. 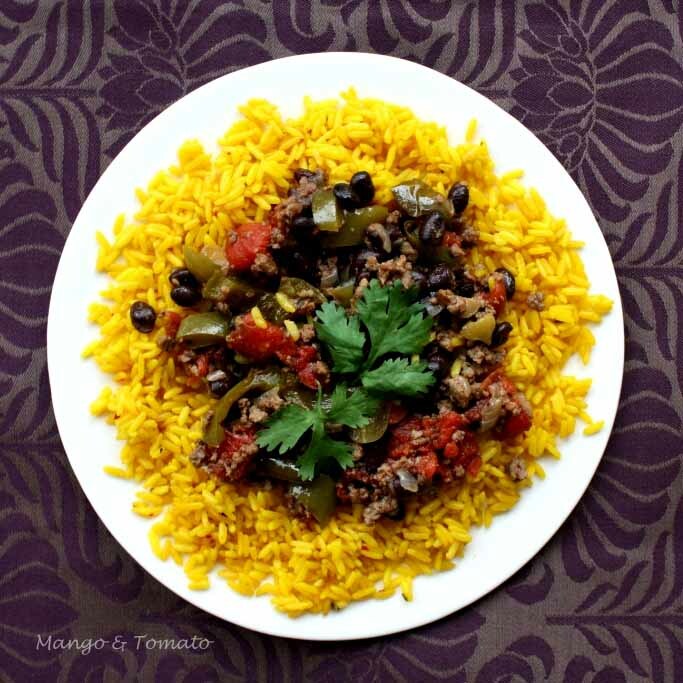 Serve the meat mixture on top of yellow rice and top with any (or all) of these: cilantro, cubed avocado, salsa and shredded cheese. 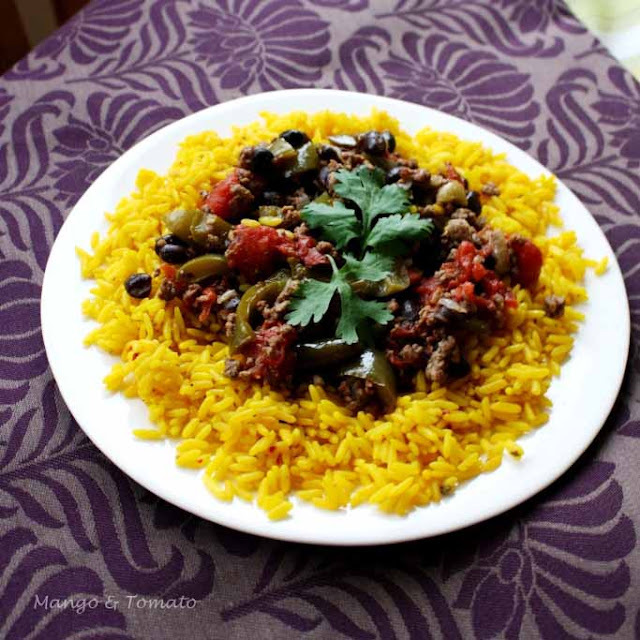 This dish is quick to put together (other than roasting the peppers, which you can just chop fresh and add with chopped onions), is well balanced and is pretty to look at! It also freezes well. I love stuffed peppers as well but I really love your idea of "lazy stuffed peppers" that makes things so easy! Great post! What a wonderful colourful & tasty dish! It screams: EAT ME NOW! You had me at "lazy." I would love to do a vegetarian version of this. But one puzzlement: there isn't any actual stuffing going on... what's up with that? Heh. Cool idea - this would be a terrific meal to put together on a busy weeknight! Hope that one can be done really quick. That'll be perfect for busy days. The colors look good, and it sounds delicious as well. Gratz for having been sponsored!